Sanja Voros graduated from The University of Western Ontario in 2002 with the Degree in Health Sciences. Then, she received her Master’s Degree in Physiotherapy from the University of Alberta, Canada in 2006. During the past 6 years, Sanja has worked in hospitals, private practices and a retirement home. She has been practicing physiotherapy and has treated a wide variety of musculoskeletal, neurological, cardiorespiratory and pelvic health disorders in Canada and the United States. Her extensive post graduate training involves manual therapy including mobilizations and manipulations, McKenzie techniques for the lumbar spine, pelvic health (prenatal/postnatal, urinary incontinence and prolapse as well as female chronic pelvic pain) and she also completed the McMaster Contemporary Medical Acupuncture program in 2009. Besides physiotherapy, Sanja enjoys socializing with friends and family, trying exotic foods, ballroom dancing, working out and playing tennis at the Hespler Tennis Club. Santosh has been practicing as a registered physiotherapist in Canada since 2006. He has more than 14 years of clinical experience in Orthopedics, Accident and Sports injury rehabilitation. He graduated in 1997 with a bachelor’s degree in physiotherapy from India. He worked in an orthopedics and sports medicine specialty hospital before coming to Canada. During his tenure in India he has worked with national level athletes, and worked closely with orthopedic and neuro-surgeons. He has done his advance training in manual therapy and Mulligan’s techniques in Canada. He is doing his advanced diploma is orthopedic manual and manipulative physiotherapy currently. He is a member Canadian Association of Physiotherapists. Special Interests: manual hands on therapy, corrective exercise, acupuncture, post surgical physiotherapy, sports injury and patient education. Andrew Mensink graduated in 2007 with a bachelor degree in Health Science from the University of Western Ontario and a Master’s degree in Physiotherapy from McMaster in 2009. Andrew has worked in the field of orthopaedic physiotherapy in the city of Cambridge since 2009 and has taken continuing education courses in acupuncture, advanced exercise prescription, orthopaedic taping, manual therapy; including soft tissue release, Mulligan and Mackenzie techniques as well as neural mobilization. Andrew’s philosophy includes providing exemplary patient care through a multimodal approach while encouraging patient independence and prevention. In his spare time, Andrew enjoys spending time with his wife, 2 kids; Liam and Kate and his dog Shyla. He also enjoys participating in, as well as being a fan of, many different sports, especially baseball and hockey. Lastly, Andrew enjoys regularly taking in his guilty pleasure of watching reality shows. Haiyan has been practicing massage therapy in clinical settings since she graduated with honors from the CCMH (Canadian College of Massage and Hydrotherapy) in 2012. It is her passion to help people through the holistic healing art of massage therapy. Haiyan has experience in treating a variety of conditions, including acute and chronic musculoskeletal conditions, pregnancy discomfort, stress related symptoms, Motor Vehicle and Work Related injuries. She also conducts breast massage for patients recovering from breast surgeries to ease lymphatic congestion and to alleviate pain. Haiyan is trained in many therapeutic techniques and modalities, such as Deep tissue therapy, Trigger point therapy, Myo-fascial release, and MLD (Manual Lymphatic Drainage). She also incorporates hot stone therapy in her massage sessions, so that her clients can enjoy the great benefits of stone therapy as the warmth of heated basalt stones penetrates muscles and balances the nervous system. Haiyan is caring and compassionate. She is committed to providing effective client-centred care. She believes that massage has something to offer everyone whether it is for the treatment of injury, preventative care or pure indulgence of relaxation. During her time away from work, Haiyan enjoys traveling, yoga, or simply being outdoors in the nature. Jeff is a graduate of CCMH (Canadian College of Massage and Hydrotherapy) with honours. He has a strong desire to help people heal their body, mind, and spirit. Jeff has experience working with athletes, women in all stages of their pregnancy, as well as treating infants. Jeff has a background in muscle therapy techniques such as muscle energy, myofascial release, trigger point therapy, passive and PNF stretching. He has experience treating a variety of chronic problems such as muscle and joint pain, stress and anxieties, breast discomfort due to lactation, and repetitive strain injuries. Jeff enjoys works with people who live with Cerebral Palsy, Parkinson’s, MS, and AIDS. The focus of Jeff’s assessments is a client intake to determine causes of pain, postural assessment, range of motion, orthopedic testing, muscle strength and length testing. Jeff is a yoga teacher of 9 years and canoeing instructor for 18 years. He is an avid canoe and sea kayaking tripper who likes to take his family out on wilderness adventures. Nimmy graduated with a Bachelor’s degree in Physiotherapy in 2001. She has been practising in Canada as a Registered Physiotherapist since 2009. Nimmy is a certified Level 4 Pelvic Health Therapist. She is fully qualified to treat male and female pelvic health issues including incontinence, constipation, prolapse, post- surgical cases and pregnancy related pelvic girdle pain. Nimmy is passionate about pelvic floor rehabilitation and paediatric physiotherapy .She has continued to expand on her therapeutic toolbox with advanced courses on geriatric and cardiorespiratory rehabilitation. Nimmy’s interests include enjoying the outdoors with family and friends, travelling and reading. Ana graduated from Wilfrid Laurier University in 2011 with a degree in Kinesiology. Then, she continued her education at The University of Western Ontario in the Pedorthist program in 2013. Ana has worked along side orthopaedic surgeons, in the assessment and care of various foot and ankle conditions. She has experience working with diabetic ulcers, amputations, toe deformities, and more commonly seen conditions such as plantar fasciitis, achilles tendonitis, and metatarsalgia. She enjoys working within a multidisciplinary setting as she believes that by having access to physiotherapy, massage therapy, and other modalities it can facilitate a more well rounded treatment plan for a patient to reap long term benefits. The focus of Ana’s assessment involves a biomechanical gait analysis, joint range of motion testing, strength evaluation and a patient history to establish the cause and effect of a patient’s pain. If a custom orthotic is suggested she will cast the patient’s feet and work with the orthotic lab to create a fully customized orthotic to offload the main areas of discomfort. When not working, Ana enjoys spending time with her husband, family, friends and travelling. Kim Wilson is a Physiotherapy Assistant, graduating from Conestoga College in 1996. Kim worked at St Mary’s Hospital in Kitchener for 8 years specializing in Short Term Rehabilitation, Acute Orthopedics and Stroke and Cardiac Rehabilitation. Interacting with patients and their families to educate them on the rehab process and supporting them through their journey continues to be a passion. Kim took time off from clinical work to raise her daughter Hayley and volunteer extensively in the community. She maintained her connection to health care as the Chairperson of the Board at Kitchener Downtown Community Health Centre for 6 years as well as coordinating volunteers at Langs in Cambridge. Kim continues to volunteer at the Nutrition for Learning Breakfast Club cooking for school children every Tuesday morning. In her time away from work Kim enjoys spending time with her daughter and husband; gardening, hiking and cooking heart healthy meals. 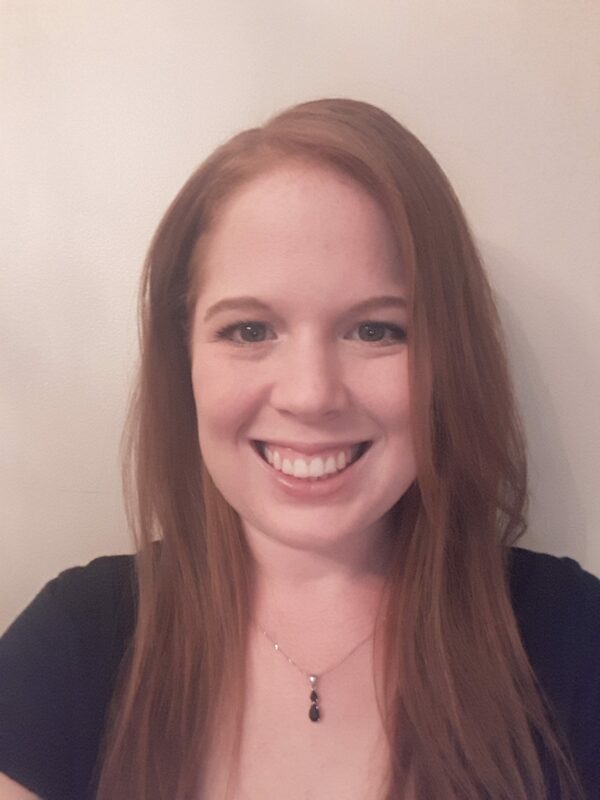 Beatrice is a Physiotherapy Assistant who graduated from the Occupational therapy and Physiotherapy assistant program from Conestoga College in 2018. She has experience in ROM, modalities, exercise, cardiac rehabilitation and much more. In school, she enjoyed anatomy of physiology, anatomy of movement, fundamentals of patient care, and chronic health conditions. She loves to see clients improving with every appointment, and strives to help them achieve their goals. Dance has been a huge part of her life since she was young, and she loves to share her passion. She has volunteered with the Dance Ability Program for over 3 years in her home town, and loves the message of equality that it shares. When not at the clinic, she enjoys spending time with loved ones, going on scenic drives, stretching, travelling and enjoying good food. Victoria graduated from the Office Administration program from Conestoga College. I am a friendly, outgoing person who loves to greet people with a nice smile to make them feel welcome. I have been working at the clinic since about March and I love every minute of it. From getting to meet new patients every day, getting to know them better and of course asking the favorite question “Do you have a token?” I look forward to where my future will take me with working at the clinic and the relationships I will build from it. When I am not at the Clinic, I love to spend my off time with my family and enjoying life with the people who mean the most.